I write to you on behalf of the Middle East Studies Association of North America (MESA) and its Committee on Academic Freedom to express our grave concern with aspects of the report released on July 7, 2011, by the Canadian Parliamentary Coalition to Combat Antisemitism (CPCCA), with which you are associated. We believe that the report’s loose and overly broad definition of antisemitism may threaten freedom of speech and violate the principles of academic freedom by defining criticism of Israeli policies, of Zionism or of Israel as a self-defined Jewish state as inherently antisemitic. MESA was founded in 1966 to promote scholarship and teaching on the Middle East and North Africa. The preeminent organization in the field, the Association publishes the International Journal of Middle East Studies and has nearly 3000 members worldwide, including more than a hundred who are scholars, teachers or students at institutions of higher education in Canada. MESA is committed to ensuring academic freedom and freedom of expression, both within the region and in connection with the study of the region in North America and elsewhere. Vigilance against the spread of antisemitism is necessary and laudable. MESA rejects all forms of hate speech, discrimination and racism, including antisemitism, and it supports prompt and forceful action in response to antisemitic incidents on university campuses. 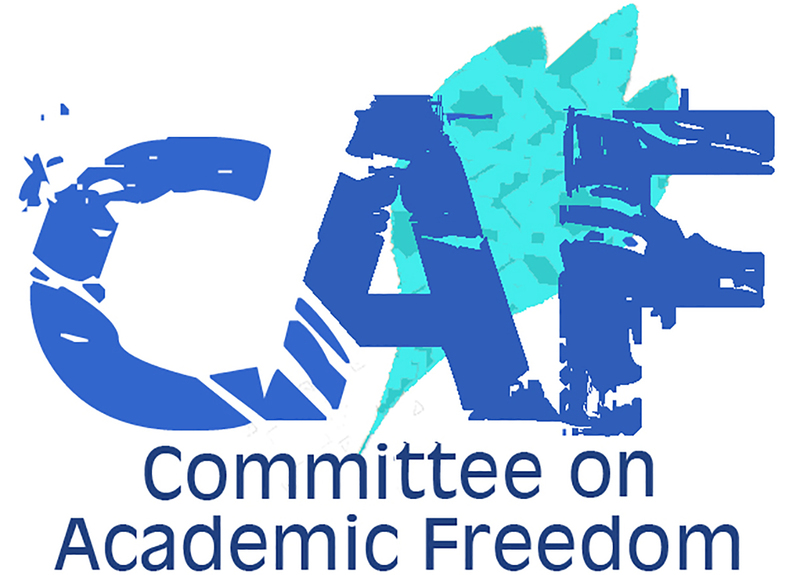 However, we are concerned that the CPCCA report may actually weaken efforts to combat antisemitism by expanding the definition of that term to include an indefensibly broad range of legitimate speech and conduct, and by advancing unsupported and groundless allegations against academic practices of critical inquiry, scholarly discourse and the free exchange of ideas. We believe that individuals and student organizations on university campuses, in Canada as elsewhere, should be free to criticize states and governments without a parliamentary commission seeking to marginalize or delegitimize their voices by associating them with a racist ideology; this is as true for critics of Israel as for critics of any other state or government. The CPCCA report devotes considerable attention to Israeli Apartheid Week, an annual event that began at the University of Toronto in 2005. Organizers of this event point to what they see as similarities between Israel and apartheid-era South Africa and denounce as racist certain aspects of the Israeli state and certain Israeli policies. Whatever one thinks of the organizers’ assertions, we vigorously reject the report’s characterization of these activities and viewpoints as tantamount to political antisemitism. We believe that efforts to demonize academic and other critics of Israel or Zionism by tarring them with the brush of antisemitism may contribute to an already troubling environment of harassment, intimidation and censorship of faculty and students on university campuses, thereby threatening academic freedom and freedom of expression. We urge the CPCCA to reconsider and revise the language of its report so as to adopt a clearer and more consistent definition of antisemitism and refrain from conflating that pernicious phenomenon with criticism of Israel, Israeli policies and/or Zionism. We fear that a failure to do so may actually undermine the struggle against antisemitism by trivializing it; such a failure may also threaten academic freedom and the free exchange of ideas and viewpoints for which our universities are such a crucial haven. *CPCCA Inquiry Panel Members: Mario Silva, Scott Reid, Hon. Carolyn Bennett, Lois Brown, Hon. Ken Dryden, Rick Dykstra, Raymonde Folco, Hon. Hedy Fry, Randy Hoback, Hon. Peter Kent, Pat Martin, Hon. Anita Neville, Peter Stoffer, David Sweet, Tim Uppal, Judy Wasylycia-Leis, Jeff Watson, Hon. Irwin Cotler (ex-officio), Hon. Jason Kenney (ex-officio). CPCCA Steering Committee Members not listed above: Candice Hoeppner, Hon. Bob Rae. CPCCA Secretariat: Corey Lerman, Dan Rabkin.